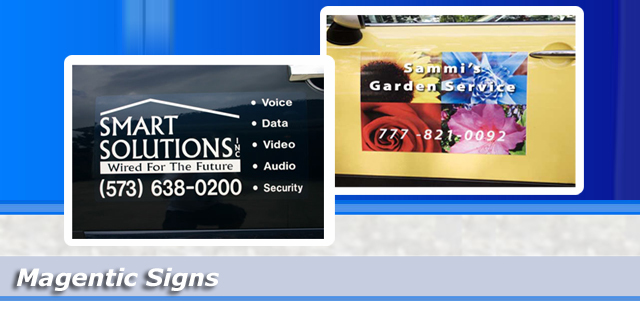 Magnetic Signs are used primarily as advertising on Vehicles. This is a 0.85mm thick flexible magnetic material covered with a white gloss vinyl. It has good polarity and is designed for vehicle and other signage where maximum adherence is required. The main benefit of having magnetic vinyl signs is that they are very easily applicable and removable, Also there is no adhesive required so no sticky marks are left behind when the signage is removed. Wall Mounted Swing Signs are solid foam panels suspend from a tastefully designed metal bracket fixed at a 90 degree angle to your building. Mounting a swing sign high up onto your building will also attract lots of attention as again they will be seen by each person that passes them. All signs can be installed by our dedicated team of fitters at a time that is convenient for the customer. As you can appreciate, no two customers signs are the same, so supplying us with as much information about the type of signage you are trying to achieve will be highly advantageous, and will enable us to produce exactly what you are looking for! Foamex (Pvc) & Acrylic Panels are a weather resistant plastic. Available in 3mm to 6mm and 10mm thickness. These Panels are available in sizes of 2440mm x 1220mm up to 3050mm x 2050mm in one piece. These panels can be cut down to any size, and with our in house routing facilities they can be cut into any shape.